A vast musical expression of simplified sound patterns for peace of mind. 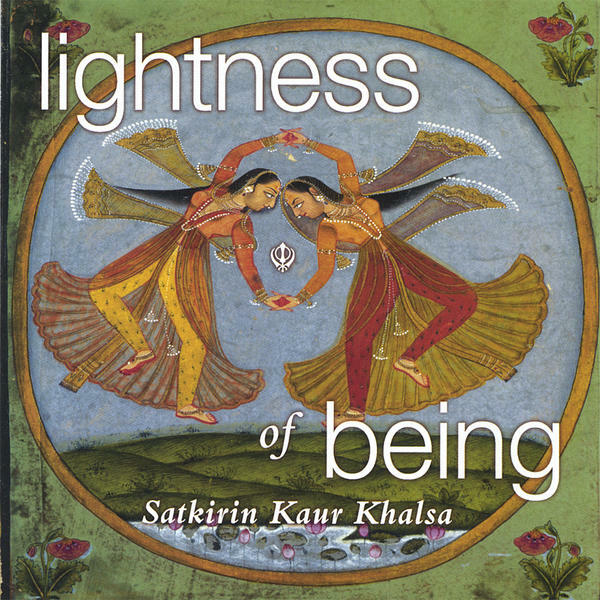 The musical artistry of each world class musician ( from Om studio in Calcutta to Zen Studio in Los Angeles) decorates and illustrates beauty and ecstasy through the merging of East Indian musicians, Raga, & western classical singers. Meditation is the moment you tune into yourself, your words, your breath, your focus, and your intention. Melody, rhythm, loving words, plus a Divine focus on the internal self called the soul, brings meditation. Let these sounds guide your inner self. Allow the experience to free your mind from worries that cloud your excellence. This album is a culmination of my decades of study, performing, and teaching this deep experience of meditative sound current called Naad. This includes the musical artistic geniuous of Thomas Barquee. He embodies a deep understanding of delivering our specific sound frequency for the deepest experience. Try listening with your headphones! 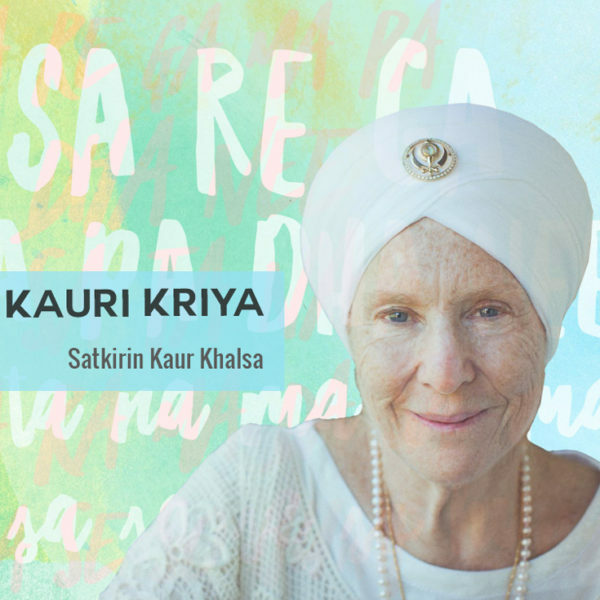 My first objective was to introduce the one-thousand-year-old Raga framework for our Gurbani meditations. Like an ornate crystal-carved glass, it can vibrate the words with great depth of feeling. The opening prayer, Vilambat, is a taste of this system. As you listen further, you’ll find the tracks singable and simple. The virtuoso violin of Sandipan Ganguly decorates the tracks with eloquent melodic passages, embellishing the vocals. 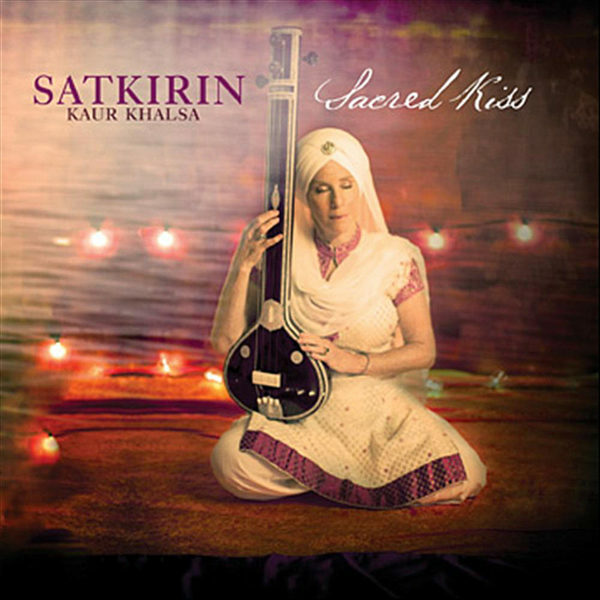 These violin, Bansuri and Santoor improvisations have a way of staying with you even after the track is done. This is where the “meditate forever” experience comes in: You’re no longer actively meditating, yet your mind continues the flow of the beautiful sounds. Second track: Embodies JOY–Song of bliss or Anand Bhai-aa, is the joyous exclamation of Guru Amar Das when he realized his dear friend Sidh Yogi took incarnation into the soul of his newly born grandson, Anand Singh. Superb violin solo. Third track: Triple Mantra, clears past present and future karma. 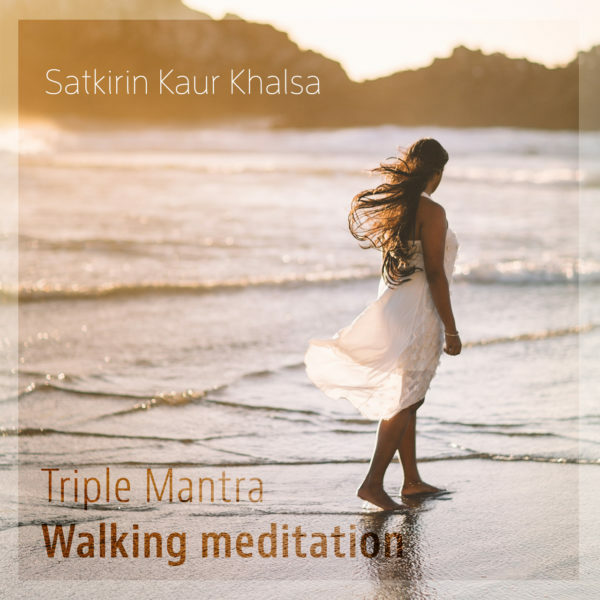 This format of triple mantra was given by Yogi Bhajan as a walking meditation. It’s the perfect music for taking a walk in the park, skipping around your home or going to the Golden Temple. 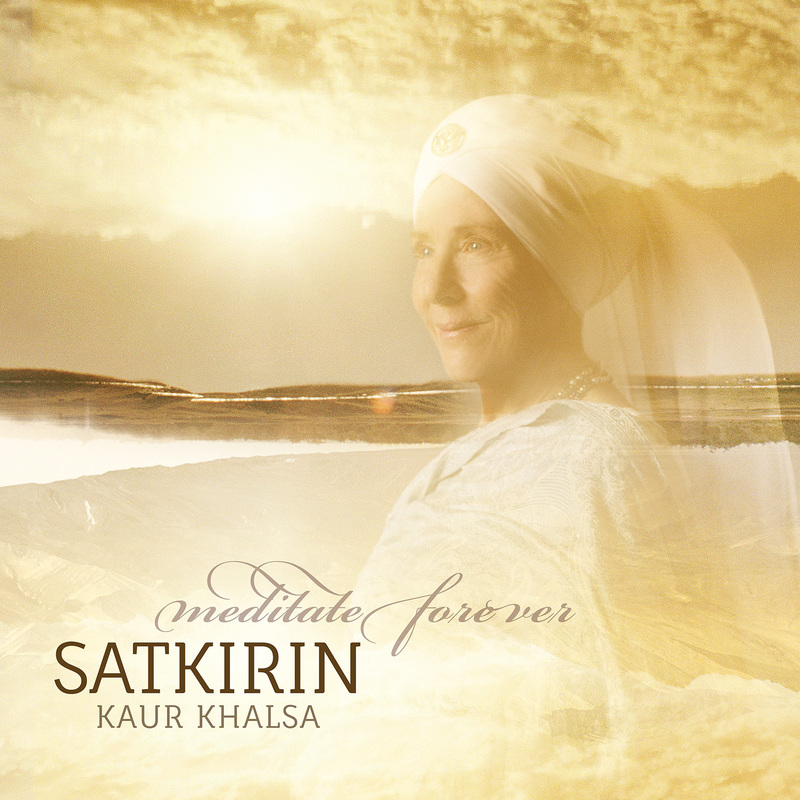 Sirgun Kaur vocal artistry decorates the background with her artistic vocal improv . Fourth track- Wahe Guru….Lifts you and resonates with the crystal bowls of Ashana coupled with the deep sound of Waa-hay Guroo. Perfect for quieting your mind and holding you in nonstop bliss. 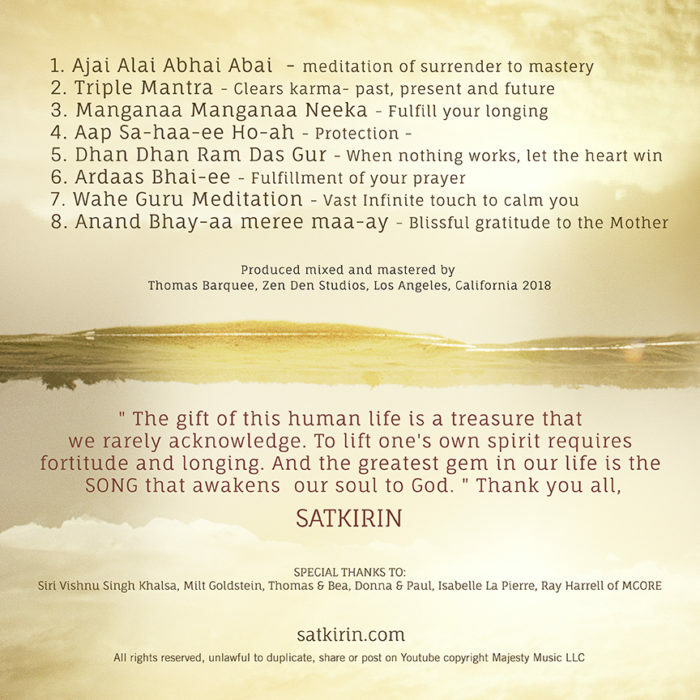 Fifth track: Dhan Dhan Ram Das Gur wins the heart– is so singable and decorated again brilliant vocal artistry of Sirgun Kaur. Sixth track- Ajai Alai……awakens the soul and opens with the rich guitar improv of Simone Cello and proceeds with a vocal clarity sung slowly, deliberately creating an eternal groove into your meditative psyche. Seventh track: Ardas Bha-ee – fulfills your prayer gives the feeling that you have achieved perfect fulfillment of your prayer. sung slowly and deliberately, deliver an experience of the bright shining light of our God-self, in the courtyard of our minds.